Some time ago on 600C I recommended a very interesting book on the subject of water, i.e. drinking enough of same and all of the good that it does to your body (which is basically a water machine). 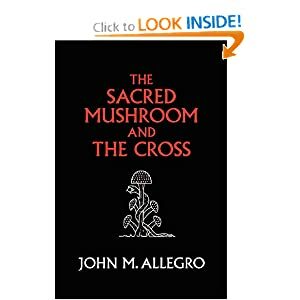 So this last week I happened to listen to a very interesting discussion on KPFA about the health/immune-system properties of mushrooms, and that led me to the interviewee's website, where he offers various fungi consumables & readables for sale. You might want to take a listen & look. Water is my favorite drink of all-time. Also, I supplement with tried and proven supplements such as a multi-vitamin, calcium and fish oil. In addition, I use Devil's Claw which aids in minimizing the effects of high impact outdoor activities. These combined with eating balanced meals has definitely helped. I can recommend this book. 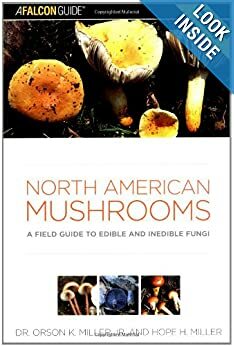 It's comprehensive to include some fantastic images for visually identifying Mushrooms. In addition to taste and medicinal qualities, Mushroom cults can be found in various culture. Their purpose vary over the ages. Reishi Mushrooms are considered a Fountain of Youth. In recent years in addition to ingesting them they've been added to a lot of Health and Beauty products. I often find them growing by a Lake I frequent. Generated in 0.025 seconds of which 0.003 seconds were spent on 16 queries. Zlib compression disabled.